Cockersands Lighthouse Keeper Thomas Parkinson with a salmon he caught fishing with a haaf net off Sunderland Point. 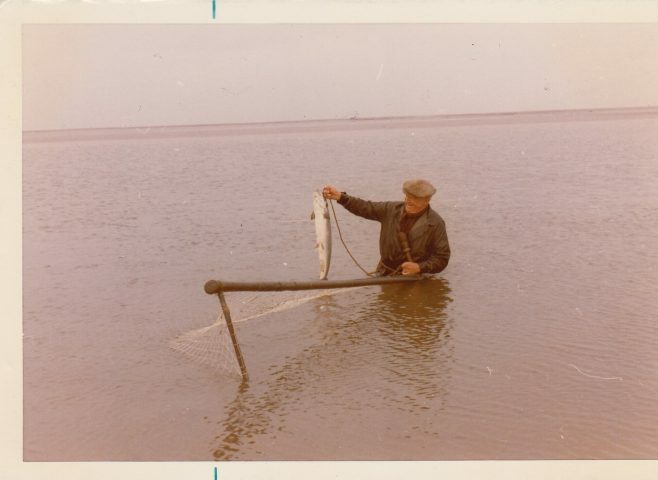 The last salmon he caught before retiring as Light House Keeper of the Plover Scar and Cockersands lights in 1972. Bob Parkinson’s oral history is in the archive.